Helicopter service for Southern California. At the Disneyland Heliport. The Matterhorn can be seen in the background. 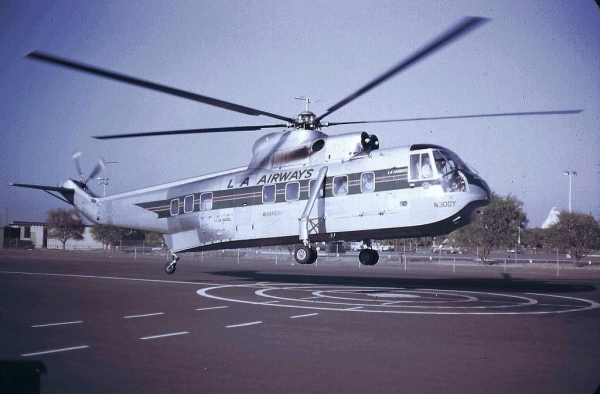 LA Airways stopped service to Disneyland in 1968 after two fatal crashes of helicopters that left the park in that year.